It can be a real trick to find the perfect used pickup truck for the right price. After all, there are lots of different types of trucks and even more truck-specific considerations to be taken into account. It might take quite a while to locate the perfect blend of cab configuration, bed length, payload, towing capacity, and price. Or you could shop the used selection at Toyota of DeKalb and get right to the heart of the matter. We carry a fantastic inventory of high-quality pre-owned vehicles from a variety of automakers – all priced to sell. Vehicles in our used inventory come and go quickly, so act fast when you see a used truck that hits all the right notes. But it’s also worth mentioning that it’s always a good time to shop our selection. We maintain a robust inventory of used vehicles, including trucks from all the big names you trust, and if you don’t see exactly what you’re looking for, tell us about it. We strive for complete customer satisfaction, and that means doing everything we can to make sure you get the perfect used truck for you. The needs of people who are shopping for a used truck vary widely. Maybe you’re in the market for a tough and mighty work truck that can tackle big jobs with ease. Maybe you want a heavy hauler that can tow your boat or water toys to the lake or beach. Maybe you’re mostly interested in a feature-rich cabin that will turn your pickup into the ultimate family road tripper. We have options for every type of driver and for a wide range of budgets. If you’re seeking an exceptional bargain price, check out our selection of used vehicles priced under $10,000. And there’s no need to worry about quality when you shop the used vehicle inventory at Toyota of DeKalb. All of our vehicles undergo a thorough inspection by an expert technician who can ensure that it lives up to our high standards for quality before it’s listed for sale on our lot. While you’re browsing our inventory, make sure you get a head start on the financing process by applying for credit, valuing your trade, and getting an estimate of how much your payments will be on the vehicle you’re looking to buy. Armed with this valuable information, you’ll be able to approach the buying process with more confidence. And because you’re shopping Toyota of DeKalb, you know you’re going to get an amazing deal. We can’t wait to help you find your perfect used truck, so head our way today! We’re conveniently located at 1890 Sycamore Road, DeKalb, IL 60115. 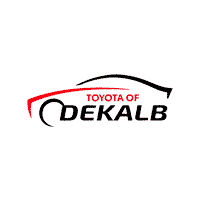 Toyota of DeKalb	41.946650, -88.730770.